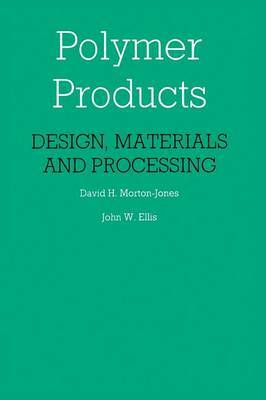 This book is derived from a recent project sponsored by the Polymer Engineering Directorate of the SERC and carried out at the University of Lancaster under the joint auspices of the Departments of Chemistry and Engineering. The project set out to provide a novel type of teaching material for introducing polymers and their uses to students, especially of engineering. Case studies of real examples of polymers at work are used, so the student or teacher can start with a successful and well-designed product and work backwards to its origins in the market, in design and material selection and in the manufacturing process. The philosophy is that such an approach captures interest right at the start by means of a real example and then retains it because of the relevance of the technical explanation. This after all is what most of us do habitually; we turn to examples to make our point. The hope is that subject matter with a somewhat notorious reputation among engineers, such as aspects of polymer chemistry and the non-linear behaviour of polymers under mechanical loading will be fairly painlessly absorbed through the context of the examples. Each study becomes a separate chapter in the book. The original studies, and hence the present chapters, vary in length because different topics demanded different approaches. No attempt has been made to alter this, or to adopt a standardized format because to have done so would have interfered with the vitality of the original work.